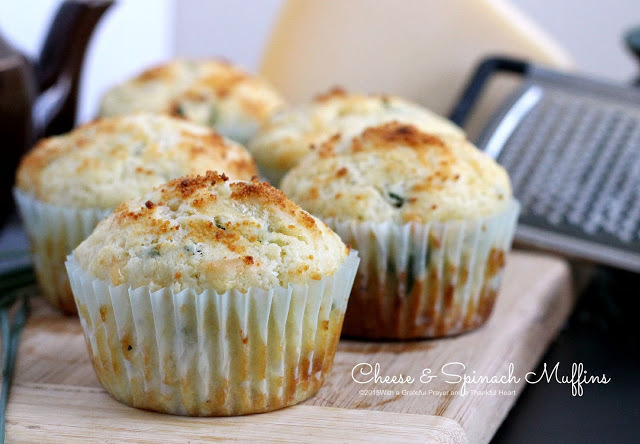 Leafing through a cookbook for a yeast bread to accompany a grilled London Broil I was serving, I noticed a muffin recipe with cheese and spinach. Sounded good to me so I pulled out my muffin pan instead of my bread maker. Remember, when adding the wet ingredients into the dry, use a light hand and fold gently just until the flour mixture is incorporated. Avoid over-mixing. In another bowl, beat the egg, milk and butter. Stir into dry ingredients just until moistened. Divide mixture evenly in muffin pan. Sprinkle with additional Parmesan cheese. Bake at 400° for 18-20 minutes or until a toothpick comes out clean. Cool for 5 minutes before removing from pan to a wire rack. Serve warm. Refrigerate leftovers. 1 serving (1 each) equals 167 calories, 8 g fat (5 g saturated fat), 40 mg cholesterol, 263 mg sodium, 17 g carbohydrate, 1 g fiber, 6 g protein. These look great! I have a little bit of an obsession with spinach and cheese. I made a chicken stuffed with spinach and feta cheese and it was delicious! I have a tonne of goats cheese in the fridge that I need to use up and lots of spinach in the garden – think I've just found something for the kids to do this afternoon! 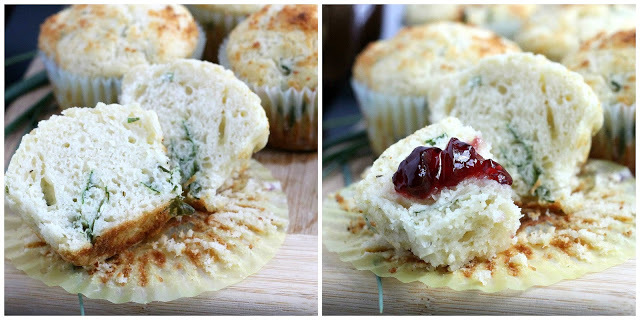 Your muffins will pair perfectly with tomorrow night's salad. Cheese and spinach is always a win-win!!! I think we would love these. I imagine they were delicious with your London Broil. I hope you have a nice weekend.